Established in 1994 Matilda Foundry uses a combination of craftsmanship, knowledge of metallurgy and experience to produce castings that meet our customers expectation in quality, price and prompt delivery. Matilda Foundry, located in Maryborough Queensland, is owned and operated by Neil Anderson. Neil has been in the industry for almost 40 years and has had extensive experience in all aspect of product design and development. 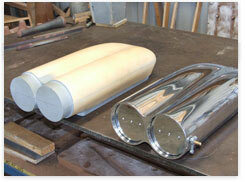 Matilda Foundry produces a wide range of castings. Some of the Industries that we serve are the Automotive, Marine, Rail, Building and Agriculture. 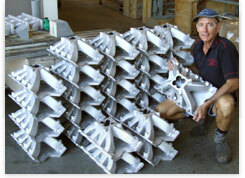 Our products are all cast from Australian Standard ingot to the customers specific requirements.